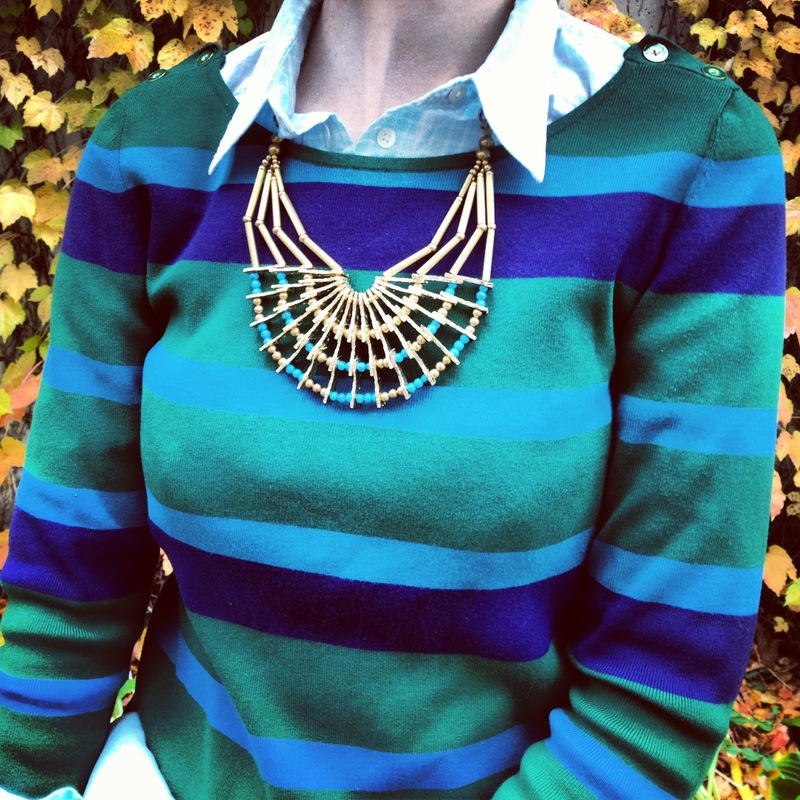 HOLY CLEOPATRA BATMAN, I WANT THAT NECKLACE AND I WANT IT BAD. You, my friend, are the luckiest girl in the world. HAHAHAHAHA! Thank you!! Lol- that made me laugh out loud! Definitely a swoon worthy piece, I don’t blame you! I was looking at the exact same necklace at Anthro the other day! 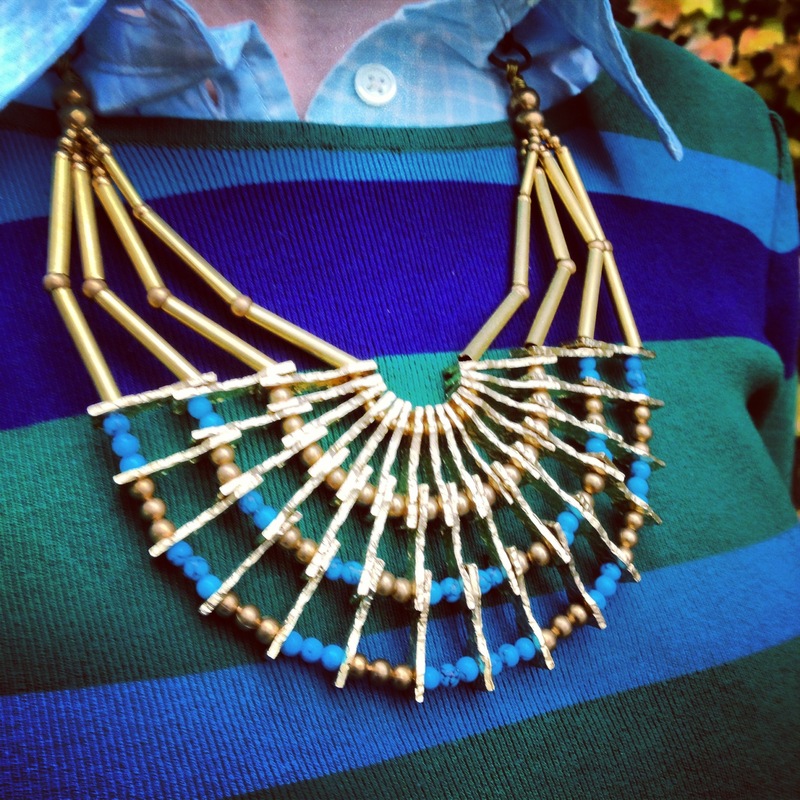 The necklace looks gorgeous-I do love Anthropologie….they have some swoon-worthy stuff. Generally winter is associated with dull colours, I like how you incorporated colour into your outfit…great look! 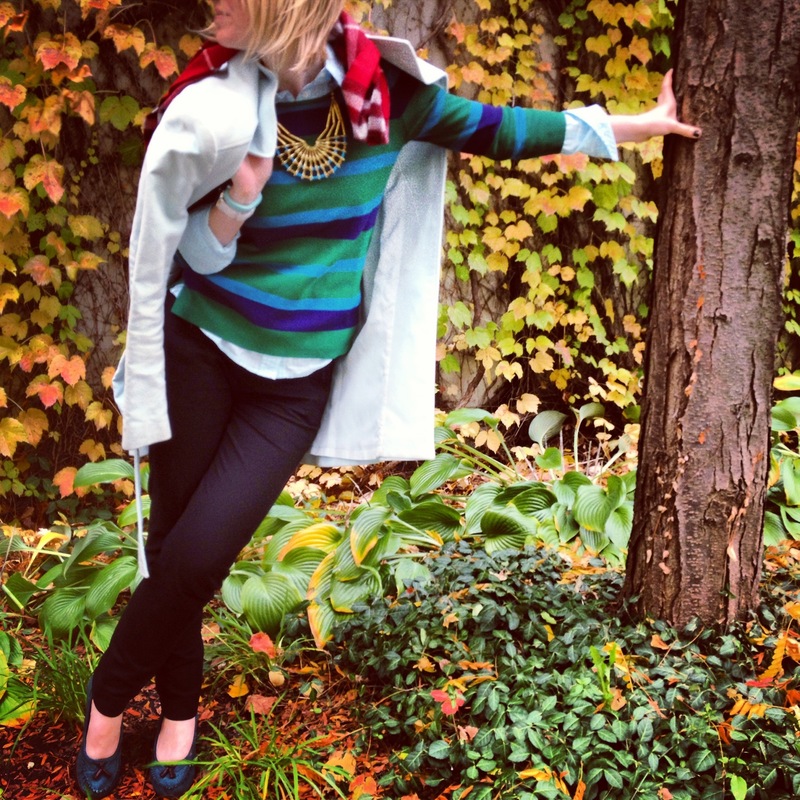 Scarves, stripes, and necklaces–Oh my! Love the trio! And the background is beautiful, so keep them coming! I seriously cant get over how amazing that necklace is either…Beautiful! Ahh that necklace! It’s beautiful!!! 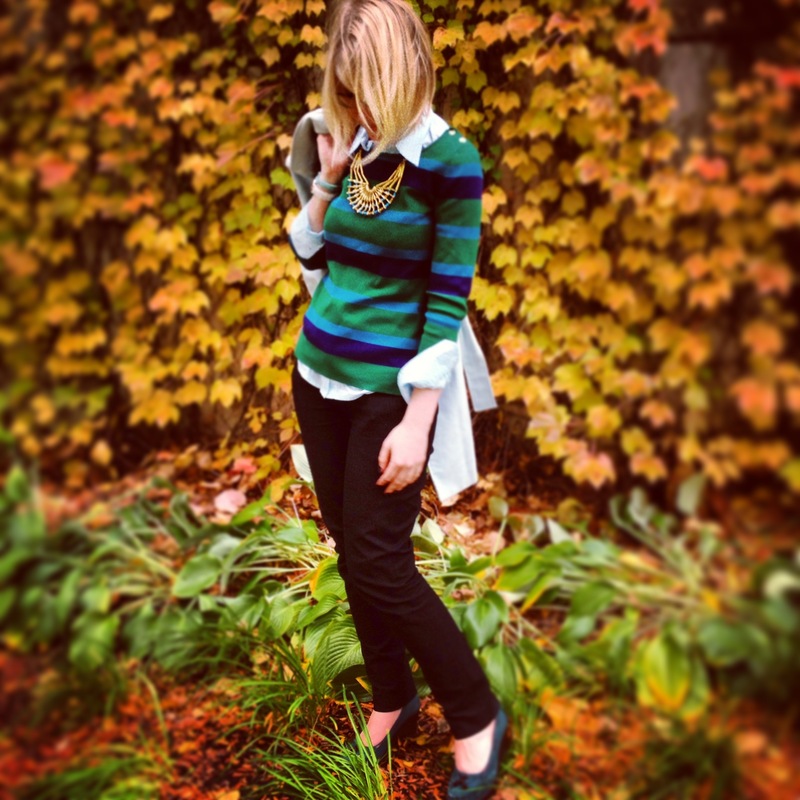 I looove statement necklace thank you for the comment on my other blog! That is so amazing that you lived in Spain, do you speak Spanish? I was thinking the same thing *shudder it’s already cold now during the winter the cold is going to bite so much harder than it does now. *le sigh. I know! It’s probably even colder where you are…I busted out my Uggs. It’s time to just accept this. And yes! I’m bilingual- I actually do rough a third of my work (not blogging lol) in Spanish! Shut the front door! That’s so amazing, I’ve always wanted to learn French, I use to dabble a bit with Spanish but it’s true that they say if you don’t use it you loose it, I would love to live in Spain for a year! I’d love to pick up another language, but I have no idea where I would find the time…or if I even could! It’s true though, it’s really easy to fall out of practice! Wow! That necklace is really cute. Nice score! Actually I like the entire outfit…blue and green are my favorite colors. What a cute look, great colour combinations! Anthro has THE best accessories! Did you study abroad in Spain or live there during another point in your life? Spain is on my must-travel-to list! I love the necklace! I agree, Anthropologie and J.Crew have beautiful pieces. You got yours for a great price! Beautiful. 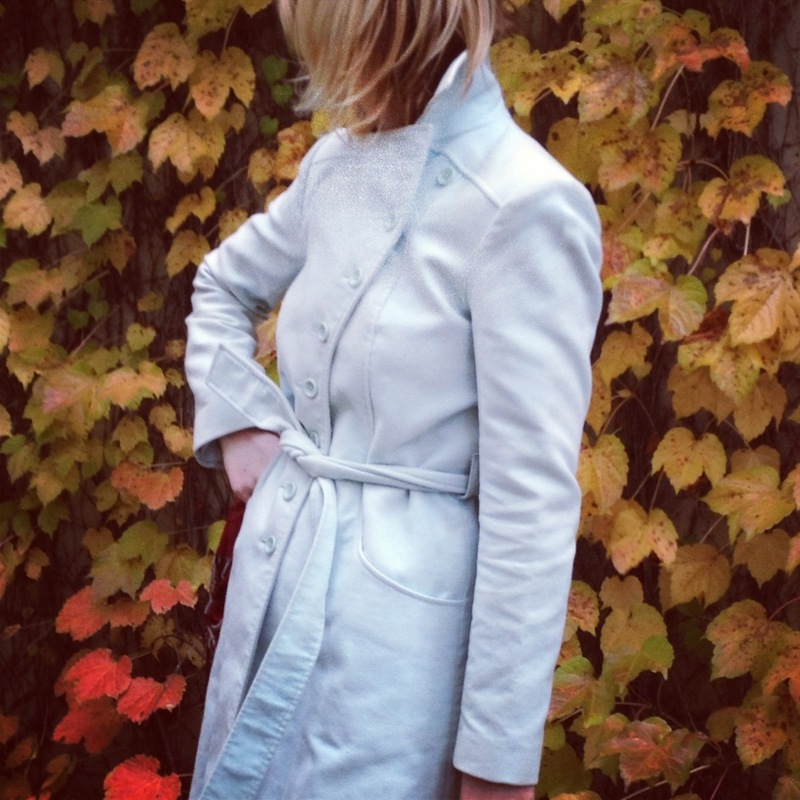 I love the layers the white jacket is so chic. 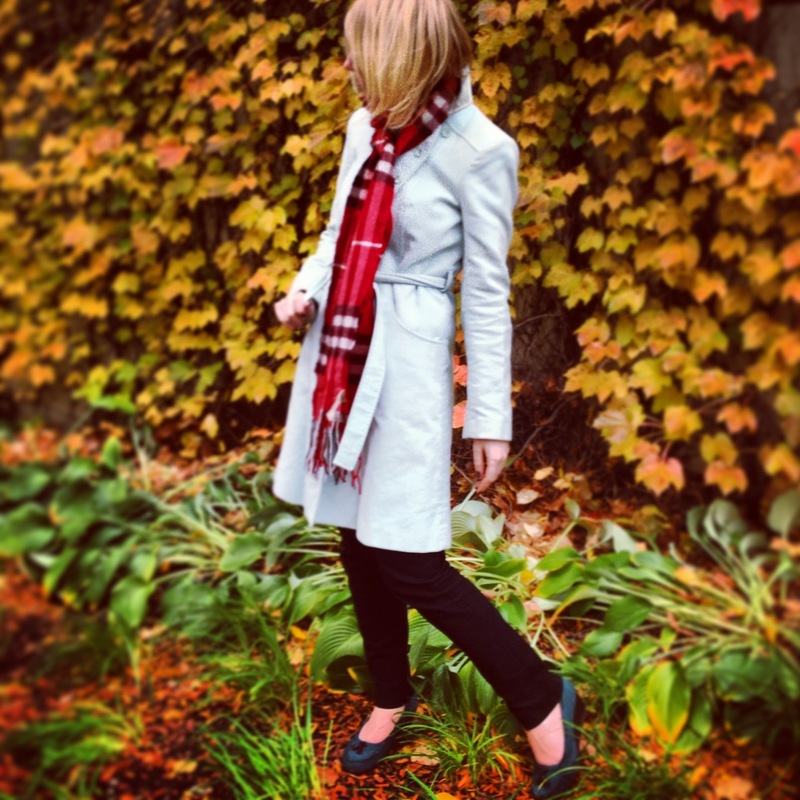 My favourite thing about fall is the all the beautiful leaves and their colours 🙂 That is until the snow comes and temperatures drop…Canadian prairies can be oh so cold! I can only imagine!! Midwest prairies get really cold and you are much further north!! I love your office looks. I currently have a “casual dress” code (denim is allll good! ), but if I ever get a job at a more straight-laced place I’m definitely going to know what blog to look for for outfit ideas! Thank you guys! Glad this necklace was so happily welcomed!! It’s definitely different than my normal style- but I love it too! it seems that the necklace and the sweater were literally made for eachother, they are so perfect together!!! 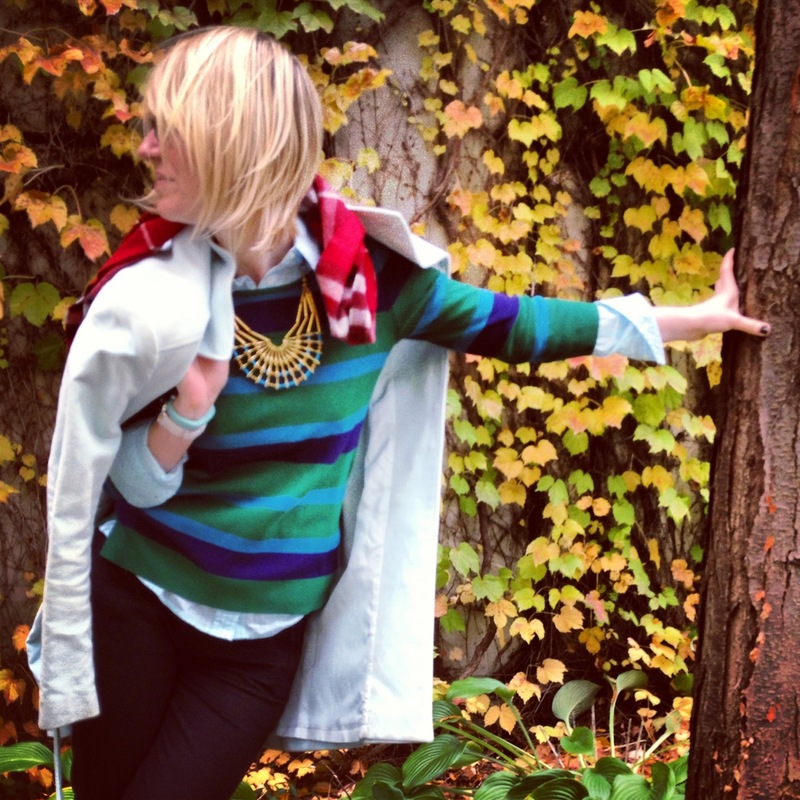 love this outfit, ultimate fall chic! This is such a smart look! You paired everything with an equally intriguing counterpart!